(15) Ahhh, the infamous black hole of the kitchen known as the junk drawer! 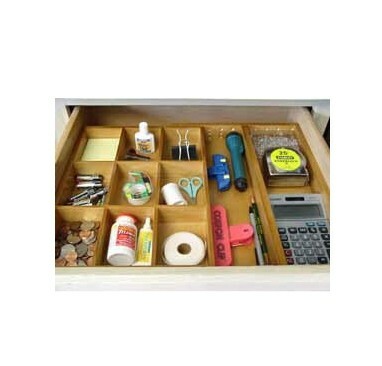 A wonderful way to organize this drawer is an Expandable Drawer Organizer ($36.00, on sale for $24.97). This organizer expands to fit any kitchen drawer and is made of all natural hardwood with a lacquered finish.